However, it is painful and concerning that during his same address to J Street, Mr. Greenblatt inaccurately promoted “rights of marginalized Palestinians”; accused Jewish communities of “Islamophobia”; cast “equal” blame on Israel and the Palestinian Arabs for terrorist intifadas and the lack of a “solution”; falsely claimed that J Street is a “front line of defense against BDS and delegitimization”; and prioritized causes such as “Black Lives Matter” (a cause that has allied itself with anti-Israel pro-BDS groups) – among other errors. It may be that, as a newcomer to this arena, Mr. Greenblatt may not be familiar with all the facts or may have inartfully worded his statements. We look forward to improvement in the future as he settles into his new leadership role. Greenblatt falsely implied that Israel does not protect Arab citizens’ rights today, and instead portrayed protecting Arab citizens’ rights as a future aspiration for which activists must fight. It is inaccurate for Greenblatt and the ADL to criticize and encourage criticism of Israel for the lack of a “solution.” The Palestinian leadership rejected incredibly generous peace offers in 1937, 1947, 2000, and 2008, and has refused to even negotiate with Israel for years. Instead of negotiating, the PA/PLO incites violence against innocent Jews, allies itself with Hamas, and pays pensions to families of Arabs who murder Jews. It is wrong to cast part of the blame on Israel for one-way actions of the PLO/PA (Palestinian Authority) and Hamas, including intifadas (Arab calls to murder innocent Jews), Hamas’ and the PA’s teaching of hatred of Jews in Palestinian Arab schools, newspapers, television, and government-controlled mosques, and the Arabs’ economic warfare and boycotts against Jewish and Israeli businesses, cultural events, artists and academics. In fact, the “Palestinian narrative” consists of the false claim that Jews living on Jewish land are “occupiers” that “stole” their own land from “Palestinian” Arabs. The “Palestinian narrative” also falsely claims that Jerusalem and the Temple Mount are Islamic holy places that Jews are “defiling,” and that Jews have no connection to Jerusalem. As ZOA has previously detailed, Jerusalem is Judaism’s holiest city, mentioned more than 600 times in the Bible and spoken of in countless Jewish prayers, including in the Passover Seder and Yom Kippur services. Jerusalem was the capital of the Biblical Jewish kingdoms and the site of three thousand years of Jewish habitation. By contrast, Jerusalem is never mentioned in the Quran. Muslims turn towards Mecca to pray, while Jews turn toward Jerusalem. During Jordan’s illegal occupation of eastern Jerusalem (1948-67), Jews were entirely driven out, 58 synagogues there were destroyed, and Jordanians used Jewish gravestones to pave Jordanian roads and latrines and forbade Jewish access to the Western Wall. Moreover, when Jerusalem was in Arab hands, the PLO and Fatah charters never even mentioned Jerusalem, or a Palestinian state of which Jerusalem need be capital. 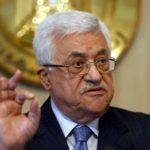 These false “Palestinian narratives” are pretexts for terror against innocent Jewish Israelis and underlie the Palestinian Arab goal of establishing a Judenrein state that replaces all of Israel – a goal that Hamas and the PLO/PA continue to pursue via every available means – including violence, UN condemnations, lawfare, economic boycotts, and a well-financed propaganda war assisted by groups such as J Street. Israel in fact already protects the rights of all its citizens, including its Arab citizens. Israeli Arabs vote in Israeli elections; serve as doctors, lawyers and top judges in Israel; and even sit as members of the Israeli Knesset, despite supporting Israel’s enemies. Israeli Arab MK’s have visited and comforted families of Arab terrorists who murdered Jews, joined the IHH flotilla to break the Israeli blockade of arms shipments to Hamas, urged Islamist terrorist group Hezbollah leader Sheikh Hassan Nasrallah to fight Israel, and supported the kidnapping of Israeli soldiers. ZOA has previously detailed why Syrian immigrants pose an unacceptable, grave danger to all Americans and especially to American Jews (see here and here), and why the ADL’s efforts to promote Syrian immigration into the United States are wrong and dangerous. Among other things, top U.S. administration security officials confirm that Syrian refugees cannot be adequately vetted and are infiltrated by ISIS. And the “Black Lives Matter” movement is closely allied with and supports the anti-Israel BDS movement. It is thus inappropriate for the ADL to view “Black Lives Matter” movement as ADL’s struggle. Greenblatt also made no mention of the fact that Israel is the only Middle East country that protects LGBT persons. He did not mention that those who wish to battle for LGBT rights should oppose the Islamic Republic of Iran (which hangs hundreds of persons each year from cranes) and other similar regimes. The real struggle of our time, in an era when Jews are being slaughtered, attacked, run-over, boycotted, and defamed with impunity, should be that Jewish lives matter. 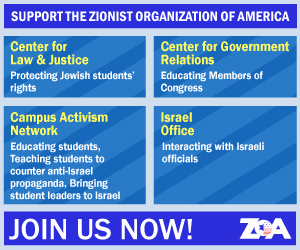 The ZOA calls upon Jonathan Greenblatt to focus ADL’s tremendous resources – and to join ZOA – in helping the endangered Jewish people – instead of offering aid and comfort to the Jewish people’s enemies. Further, ZOA questions whether Mr. Greenblatt should have addressed J Street at all. It may be that, as a newcomer, Mr. Greenblatt is unaware of J Street’s anti-Israel policies and practices. Many politicians who initially involved themselves with J Street disassociated themselves from J Street after learning more about the organization. For instance, after learning of J-Street’s anti-Israel extremism, Senators Blanche Lincoln (D-AR), Kirsten Gillibrand (D-NY), Chuck Schumer (D-NY) and Thad Cochran (R-MS), and Congresspersons Mike Castle (R-DE), Mike Ross (D-AR), Michael McCaul (R-TX), Leonard Boswell (D-IA), John Salazar (D-CO), Ed Towns (D-NY), and Howard Coble (R-NC) all asked to have their names removed from a J Street Conference host committee to which they had originally signed up. Liberal Democrat former Congressman and Chair of the Mideast Subcommittee Gary Ackerman (D-NY), cut his former ties with J Street in 2011, saying: “J-Street is not an organization with which I wish to be associated . . . The [J-Street] decision to endorse the Palestinian and Arab effort to condemn Israel in the U.N. Security Council is not the choice of a concerned friend trying to help. It is rather the befuddled choice of an organization so open-minded about what constitutes support for Israel that its brains have fallen out. . . . [The Palestinians] sent peace talks into a dead end. But astonishingly, it is Israel that J-Street would put in the stocks in the public square.” Jewish Lawmaker Slams J Street for Position on Anti-Israel U.N. Resolution (Fox News, Jan. 26, 2011). If the new ADL head, nonetheless, wishes address J Street in the future, we hope that next time his speech will be more accurate, and will not promote and demonstrate sympathy to pro-BDS groups.